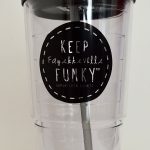 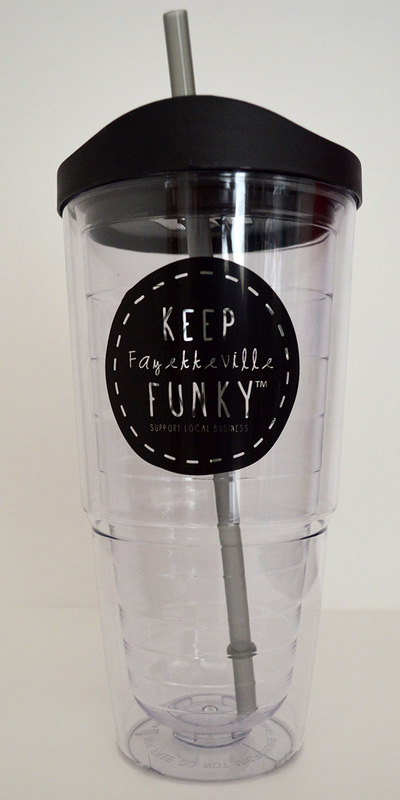 This clear Keep Fayetteville Funky drinking cup holds 20 oz of liquid. 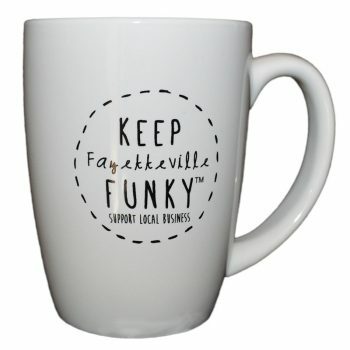 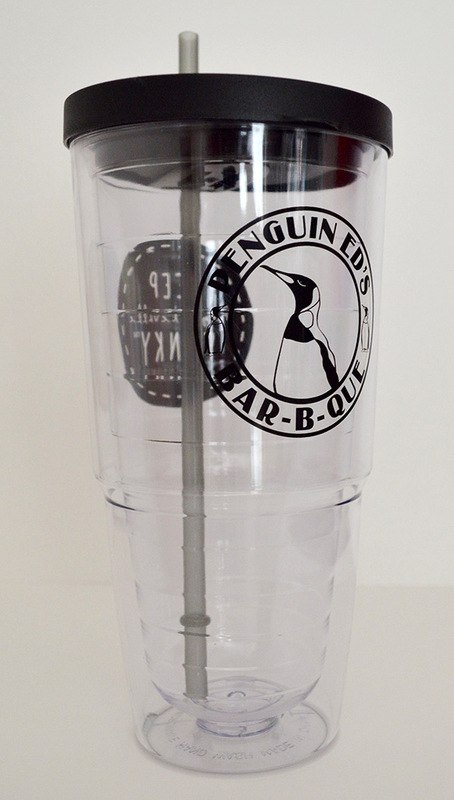 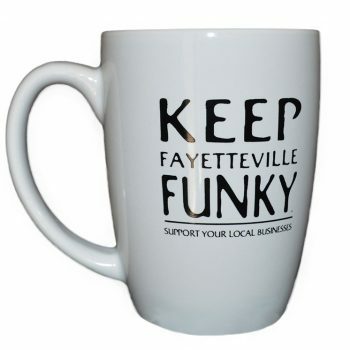 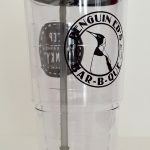 It has a black Keep Fayetteville Funky logo on one side, and a Penguin Ed’s Bar-B-Que logo on the other side. 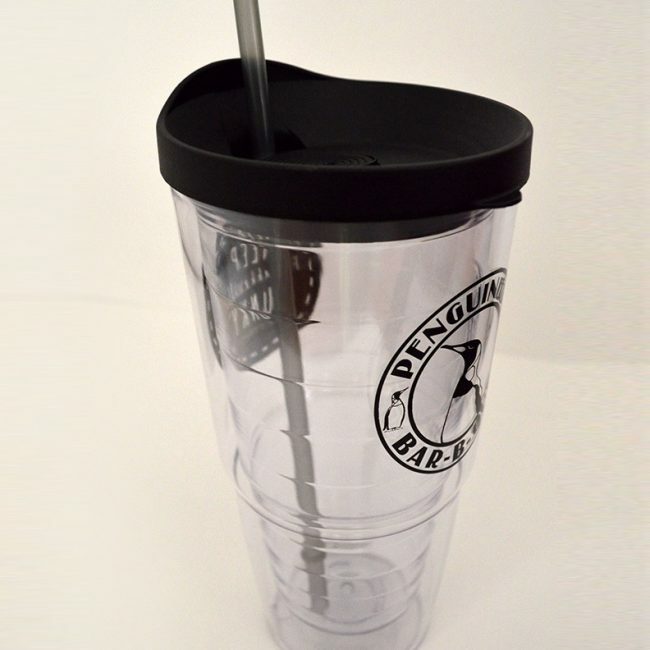 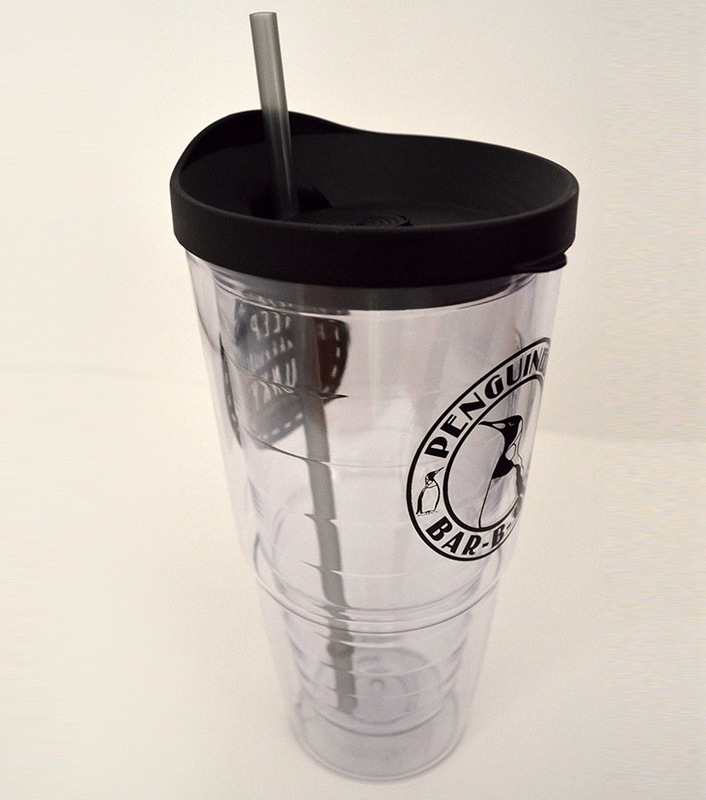 This cup is perfect for all of your favorite activities!